James Grant was born in Elgin, Moray, in 1802. He became a contributor to The Statesman when he was only nineteen. In 1827 he helped to launch the Elgin Courier and later became editor of the newspaper. In 1833 he moved to London and he eventually joined The Morning Chronicle. 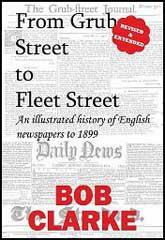 Edited by John Black, the newspaper employed a group of very talented writers, including, Charles Dickens, George Augustus Sala, George Hogarth, Henry Mayhew and John Stuart Mill. Dickens's biographer, Claire Tomalin, the author of Dickens: A Life (2011) has pointed out: "Black was a Scot, a friend of James Mill and follower of Jeremy Bentham, and he ran the Morning Chronicle as a reforming paper, and set out to rival The Times, encouraged by a tough new owner, John Easthope, a Liberal politician who had made a fortune on the stock exchange. Dickens would be a key member of the team taking on The Times." Grant was a parliamentary reporter, he published Random Recollections of the Houses of Lords and Commons in 1836. 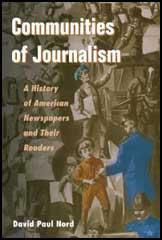 He also helped launch other publications such as The London Saturday Journal (1839) and Grant's London Journal (1840). In 1850 he was appointed editor of The Morning Advertiser, the organ of the Licensed Victuallers' Association. He held that position for the next twenty-one years. George Augustus Sala described him as "an excellent reporter and a capable editor". Grant's biographer, D. M. Griffiths, has argued: "He (Grant) was also a devout Calvinist, and in 1872 became editor of the Christian Standard. Despite his full-time journalism over many years he still found time to write almost forty books - very many of them touching on theological subjects - but these are now mainly forgotten." However, one of his books, The Newspaper Press; its Origins, Progress and Present Position (1871), is regarded as a classic. James Grant died at 35 Cornwall Road, Bayswater, London, on 23rd May 1879. (1) James Grant, quoted by R. Shelton MacKenzie in Life of Charles Dickens (1870). It was about the year 1833-34 before Mr. Dickens's connection with the Morning Chronicle, and before Mr. Black, the editor of that journal, had ever met with him, that he commenced his literary career as an amateur writer. He made his debut in the latter end of 1834 or beginning of 1835, in the Old Monthly Magazine, then conducted by Captain Holland, a friend of mine. He sent, in the first instance, his contributions to that periodical anonymously. These consisted of sketches, chiefly of a humorous character, and were simply signed "Boz". For a long time they did not attract any special attention, but were generally spoken of in newspaper notices of the magazine as "clever," "graphic," etc.